What can you do about “text neck” head-forward syndrome, an increasingly common issue that affect most people working at desks and computers? And, how can yoga help? 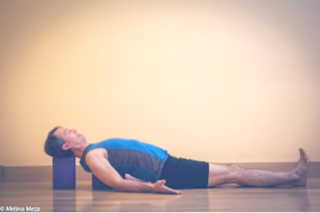 In a blog several years ago, Dr. Timothy McCall recommended practicing a restorative backbend yoga pose to counteract poor posture (head-forward syndrome qualifies as one form of that). He says that when we have a long-term habit of slouching, it may not just be as simple as to start sitting or standing up straight. Long-term slouching leads to shortening of muscles in the front of the upper body, as well as of the fascia, the connective tissue that surrounds and interpenetrates the muscles, which can limit movement. And this is going to be true for head-forward syndrome as well. Because longer holds of yoga poses are necessary to help lengthen the fascia, he believes staying in a pose for a few minutes may be ideal. Since that’s hard to do in most regular asana, particularly backbends, which open up the back, he recommends a simple supported, passive backbend. I have been including these in my practice for about 15 years, after my yoga teacher recommended them for me in particular for my posture. I also have some suggestions for how to strengthen your upper back and neck muscles, and to work mindfully on the alignment of your head and neck over your torso. Practice a simple passive backbend several times a week, for three minutes or more at a time. The three photos that follow show some choices for passive back bending poses. You can choose any of these three versions that seems best to you. Make sure the one you choose is comfortable, so you can stay for three or more minutes without pain or discomfort. One version shown here actually has the head higher than the torso and that probably won’t stretch your neck, but I remember that my father had head forward syndrome so severe that he couldn’t even lie with his head flat on the floor. So for some of you (or your students) it may be necessary to start with your head supported in these poses and gradually lower the support until you reach a point where you can be comfortable with your head even with and eventually lower than your torso. If you can comfortably bend your neck back, the version below would be a good one. If you can’t bend your neck back but you can lay it flat, you could try this version below (or add more blankets to the first version). If you can’t even lay your head flat, you may need to prop your head up (though you can do that with more blankets in version 1 or 2). Some people’s heads need more height than a blanket or block can supply. In that case, he/she can rest his/her head on a block turned on its end, as in version 3. I would also add that strengthening your upper back and neck muscles would be beneficial because those can become weak from slouching. Regularly practicing Locust Pose (Salabasana) would easily do the trick. Just be sure that when you lift your head in this pose not to cause strain by bending your neck back too far (this is especially true if you have head-forward syndrome). 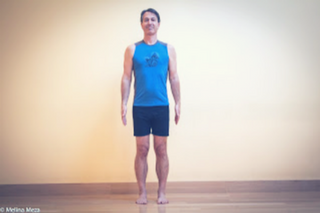 Practicing Mountain Pose (Tadasana) is a good way to cultivate awareness of your habitual posture and to move into a healthier alignment, where your head and neck are in line with your spine. Because your habit is going to feel more comfortable than a new alignment, have a partner or a teacher help adjust your head and neck in the pose. 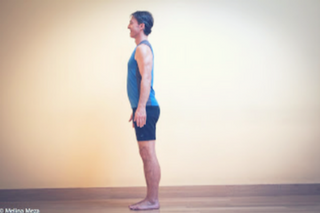 Another article from Christine Malossi and YogaUOnline-5 Poses to Ease Text Neck. 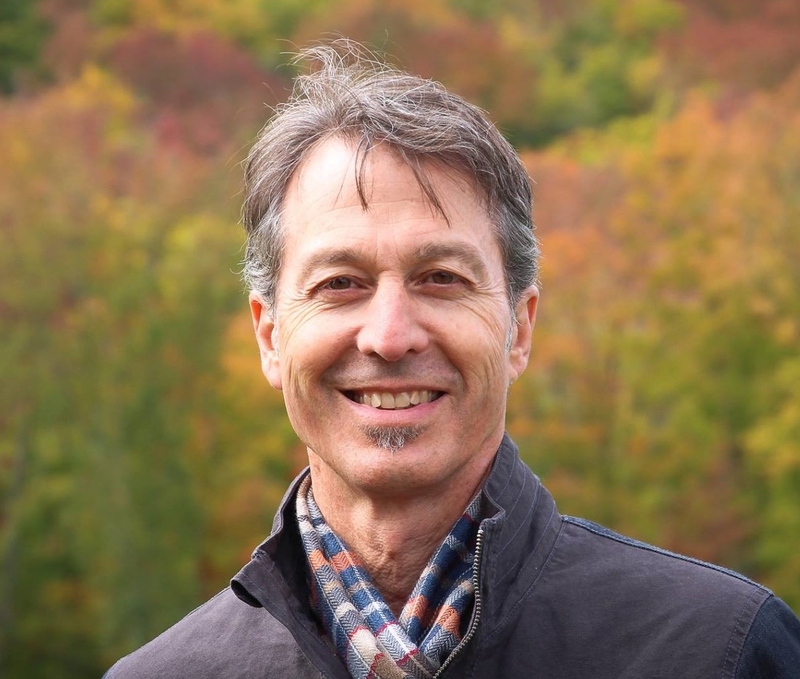 Study with Dr. Baxter Bell- Yoga For Healthy Aging: Your Brain on Yoga Part 1. Nina Zolotow, RYT 500, Editor-in-Chief of the Yoga for Healthy Aging blog, is both a yoga writer and a yoga teacher. She trained to be a yoga teacher at The Yoga Room in Berkeley, California, has studied yoga therapy with Shari Ser and Bonnie Maeda, and is especially influenced by the teachings of Donald Moyer. She also studied extensively with Rodney Yee, and is inspired by the teachings of Patricia Walden on yoga for emotional healing. Her special area of expertise is yoga for emotional well-being (including yoga for stress, insomnia, depression, and anxiety) and she teaches workshops and series classes on yoga for emotional wellbeing, stress management, better sleep, home practice, and cultivating equanimity. Nina is the co-author, with Rodney Yee, of two books on yoga: Yoga: The Poetry of the Body and Moving Toward Balance, both of which are widely available, and is currently writing a book with Baxter Bell on Yoga for Healthy Aging for publication in 2017.